Large size - 6.97" x 7.81"
Small Size - 4.99" x 5.575"
This stitches out very nicely! Thank you! I ABSOLUTELY LOVE LOVE LOVE this ADORABLE design!!! 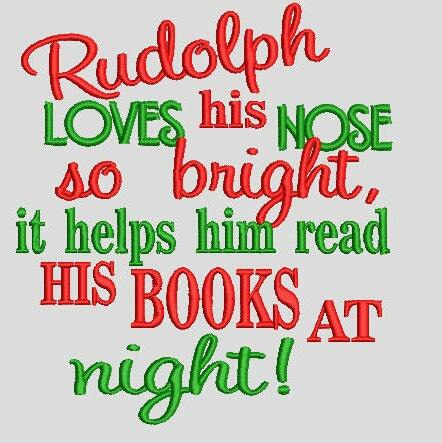 I put Rudolph with his red nose to the other side of it! stitches out beautifully! Highly recommend. 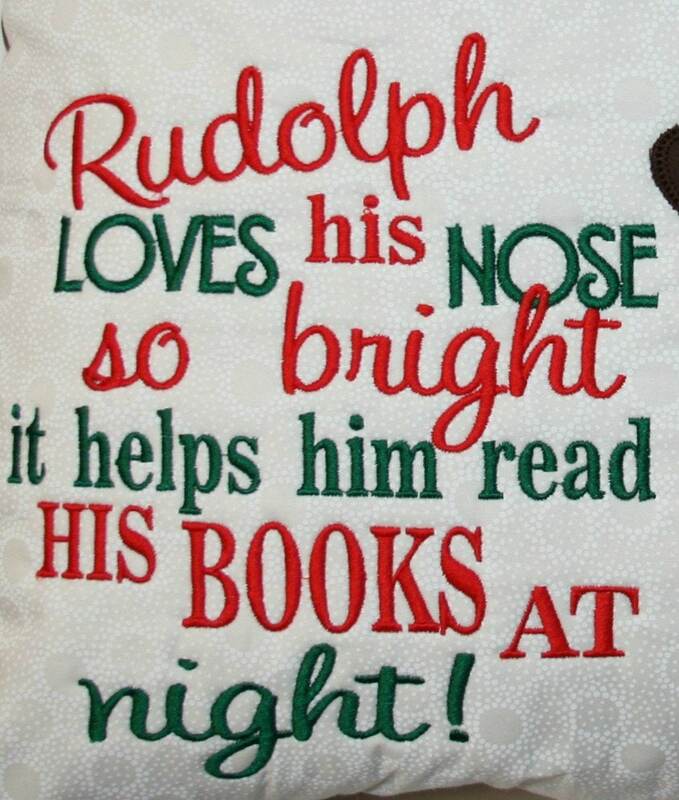 Paired this with a Rudolph for a reading pillow and it was so popular! Great stitch out.